TDM or Time-division Multiplexing plug-ins are a type of Pro Tools plug-in intended for use with outboard hardware DSP processors. This integration of software and hardware allows for enhanced precision and much better audio quality as compared to purely native systems. TDM plug-ins are typically used in high-end Pro Tools systems in which dedicated DSP chips provide the resources needed for processing the audio signal. This contrasts with native systems in which processing power is drawn solely from the host computer. TDM plug-ins are designed specifically to take advantage of the features and resources of Pro Tools HD systems. HD systems combine the feature-rich, high-end version of Pro Tools software with specialized external hardware in the form of DSP cards. Central to the power and efficiency of an HD system, these DSP acceleration cards bear the brunt of the processor requirements of the software. By taking on the processing function that would otherwise use up valuable host computer resources, HD systems make the use of processor-intensive TDM plug-ins possible. In order to appreciate just how significant the contributions of TDM to the audio production world were, it would be helpful to go back to the mid-1990s. Back then, computers were not as powerful as they are now, and few commercially-available systems could provide the processing power needed for resource-intensive audio tasks. Enter the Pro Tools II TDM system, which supported up to four NuBus cards linked via TDM technology. With support for four to 16 voices, this and succeeding Pro Tools systems paved the way for Pro Tools HD. It was then than the potential of TDM technology really came to the fore. One of the most significant breakthroughs with regard to TDM was the reduction of recording latency to a virtually imperceptible degree. Put to effective use in multi-track recording, it also made it possible to monitor audio through TDM plug-ins in near real-time. This was a pretty amazing feat at the time as you could well imagine, and it is still quite remarkable to this day. TDM plug-ins are often compared with another Pro Tools plug-in format, RTAS. The main difference is that TDM plug-ins derive their processing power from hardware DSP cards installed in the computer. In contrast, RTAS plug-ins utilize resources from the host computer. The implications of TDM plug-ins being able to draw from its own pool of resources are significant. These types of plug-ins can essentially carry out their functions almost entirely independent of the host computer. They can therefore perform their required tasks more quickly and more efficiently, and at a much higher quality than their native counterparts. When running a TDM plug-in, it is highly unlikely that you will come close to maxing out its available resources. Lags, stutters, and other audio anomalies are things of the past, and work can proceed more smoothly and more efficiently. Furthermore, TDM systems easily let you see how resources are allocated. Even in the unlikely event that you come close to maxing out the onboard DSP, your session will continue to run without a hiccup. And if you do run out of DSP power, you always have the option to run your plug-in in RTAS or HTDM mode, which draws resources from the host computer. Like most other plug-in formats, TDM plug-ins come in a few different varieties. There are software instruments such as synthesizers, drum machines, and samplers, and there is a wide range of effects processors as well. Most of these tend to be of extremely high-quality, given the fact that they draw on resources that are typically unavailable to native plug-ins. Reverb processors are especially rich and detailed, and compressors and other dynamics plug-ins are extremely accurate and consistent. One of the main drawbacks of TDM plug-ins is their price. 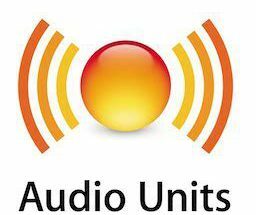 In addition to the cost of the plug-ins, you will also have to invest in a suitable DSP-equipped system, which is cost-prohibitive in itself. Traditionally, recording engineers and music producers were advised to go for TDM only if they could afford it. Otherwise, RTAS plug-ins offered a more than workable alternative. All this is moot today, as TDM has gone the way of RTAS and other earlier Pro Tools plug-in formats. With the release of Pro Tools 11 in 2013, Avid switched over to the AAX format, essentially heralding the end of TDM and its ilk. Find professional level qualities from our audio plugin guide.